CONGRATULATIONS to all the engaged brides and to all the current and future Mimi Ebichi Event brides, welcome home! You are our tribe and family. Every year from Christmas to Valentine’s Day and special moments in between lies engagement season. 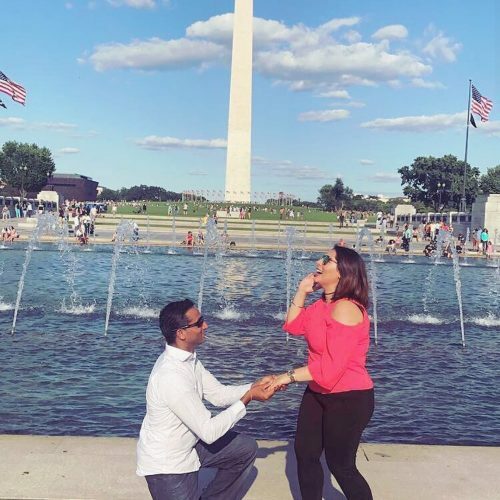 Such a special moment it is when your partner gets on one knee or flies across the sky popping the ultimate question, “Will you marry me?” You are ecstatic, anxious, excited, shed a tear or more, scream for joy and say YES! Now the season of love and thoughts of forever has begun. Sure, planning your wedding is made up of hours on Pinterest, flipping through instagram, and chatting with your friends about what you want your dream day to look like, but there is also the exciting side of wedding planning to consider, and that is where your wedding planner comes in. Q: What does “Mimi Ebichi” mean? A: Mimi comes from my Nigerian middle name “Mmiliaku” meaning Spring of Wealth and Ebichi is my last name meaning the Staff of God. Q: HOW LONG HAVE YOU BEEN IN BUSINESS AND HOW MANY EVENTS DO YOU PLAN EACH YEAR? A: Mimi Ebichi has run successful businesses in the industry for over 10 years. 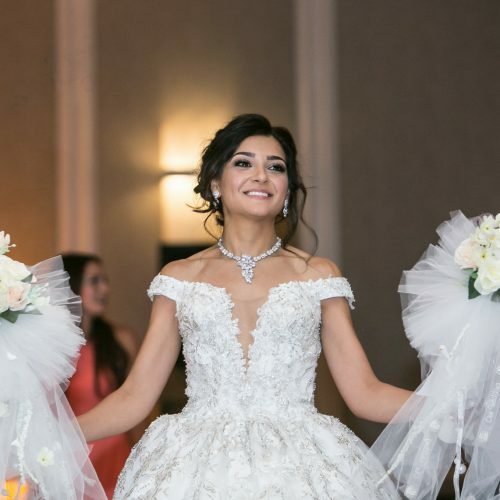 We are a boutique wedding planning firm serving the Washington D.C. metro area primarily Mclean, Ashburn, Sterling, Reston, Leesburg and Fairfax, VA. Specializing in multicultural wedding and events, we have planned and executed over 75 “private” luxury events around the globe. 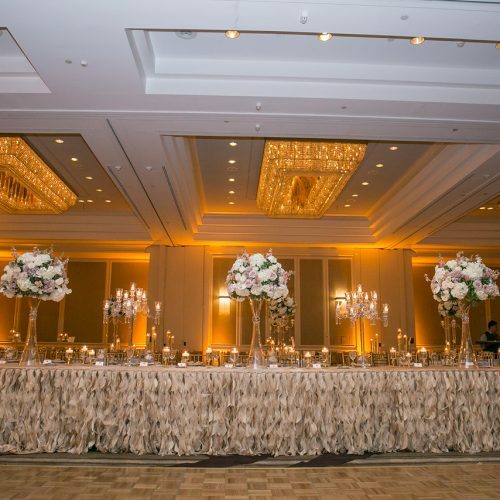 To ensure each client receives unparalleled attention to detail, and each event treated with utmost priority and decorum, we only plan few events each year. Q: WHY HIRE A WEDDING PLANNER? A: Excellent question! 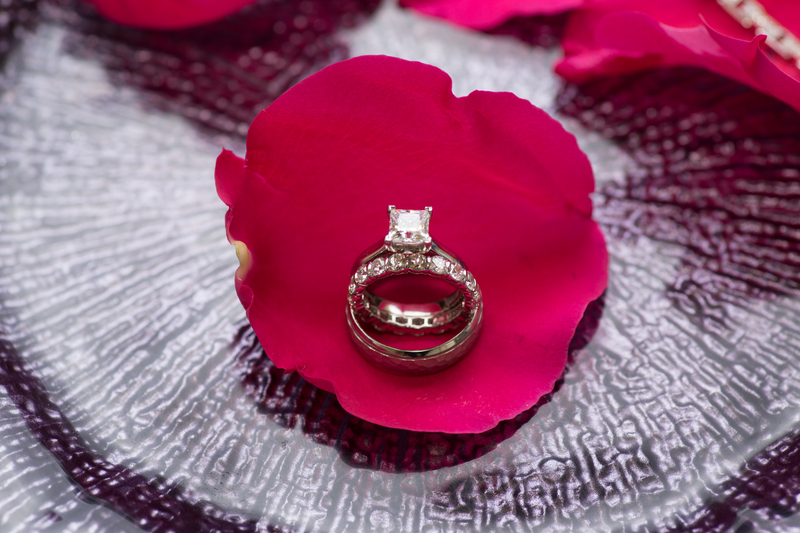 On average planning a full wedding from start to finish can average 500 hours and beyond. This is time that we’d love for you to have to continue nurturing your relationship and ultimately enjoying peace of mind before your big day. From researching the vendors that perfectly fit your style and taste, to planning out the details that reflect your personality, the wedding planner does it all so you don’t have to. Besides that, a wedding planner also helps develop your budget, review your vendor contracts, negotiate on your behalf, map out and design the flow to achieve the ultimate guest experience you envision. We are more than just a planner; we become your family during the process and beyond. 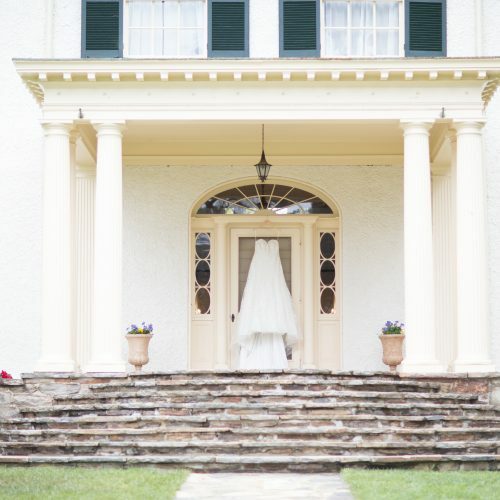 Q: CAN THE COORDINATOR FROM OUR VENUE PLAN OUR WEDDING? A: When venues have a catering or event manager/coordinator on site, their central role and duties is to oversee and ensure the logistics of the venue are in place, i.e. correct number of tables in the room, proper cutlery count on the table, serving and bar staff properly groomed etc. It is not within their job description to confirm and coordinate your vendors, run wedding rehearsals, oversee vendors on your wedding day, cue you down the aisle, cue your musicians and wedding party and ensure that all your dream details are running according to schedule, but that of your wedding planner! While venue coordinators are great at what they do, their priority is to run the facility, so they have the venue’s best interest in mind only. Q: WHAT INFORMATION SHOULD I PROVIDE THE WEDDING PLANNER WITH? A: As much as possible because access to good information is paramount in delivering the wedding of your dreams. We recommend the following; Guest count, budget, Wedding Date, Location (local or destination) etc. Q: WHAT IS A FULL- SERVICE PLANNING? A: Great question. This is a service catered to clients who desire a comprehensive and expert guidance in the planning process. This service can sometimes be from helping your partner plan the engagement, to the final details of whisking you into the plane for your honey moon. This is our specialty and completely CUSTOMIZED to fit your needs. Q: YOUR WORK IS COLORFUL AND LUXURIOUS! WHAT SETS YOU APART FROM THE OTHER EVENT PLANNERS? A: Thank you! What sets us apart from others is our love and passion for multicultural and ethnic fusion with a touch of modern glam and highly personalized desire to deliver “luxury your way.” We meet you right where you are and work diligently with you to capture your vision and bring the story of the authentic “YOU” to life. Q: WHY DO YOU WORK AS A TEAM AND DOES YOUR TEAM WORK WITH OTHER VENDORS OUTSIDE OF YOUR PREFERRED LIST? A: Absolutely! We truly believe that “Team work makes the dream work.” Wedding Planning is tough work and requires various hats to be worn throughout the process, that’s we spend time to truly understand our client, their style and personality. When we work as a team, we have experts in all the parts of the planning and creative process which are necessary to make your wedding dreams a reality. This partnership of skills ensures that all of your design and coordination needs are covered. When you hire a Mimi Ebichi Events wedding planner, we have YOUR best interest in mind because we work for and with you. As your wedding planner we develop and have great relationships with the venues we work with and this can only benefit you in the long run. We work side by side to ensure all your planning needs including, ceremony logistics, vendor procurement and timeline logistics are met. Q: HOW DO YOU KEEP TRACK OF EVERYTHING FOR EACH CLIENT? A: We are pleased to utilize digital client management tool to organize, track and plan every event. You will have access to this customized tool and if, technology is not your thing, no worries. We still have our old fashioned pen and paper system. You will find me most times with my pen and gorgeous folder. A: Absolutely. We carry general liability coverage and encourage all our clients to hire vendors that are licensed and insured. We also recommend that our clients invest in a wedding insurance to protect them. Q: WHAT IS THE AVERAGE COST FOR A WEDDING? A: This mainly depends on your guest count among other factors. Elegantly curated weddings typically average $350-$500 per person. Most of our clients typically spend between $750-$1500 per person on average. A: As with life, some of our clients relinquish every detail to us while others prefer to be hands-on. For this reason every service is customized to fit the vision, style and budget of the client so you can decipher what you really need. 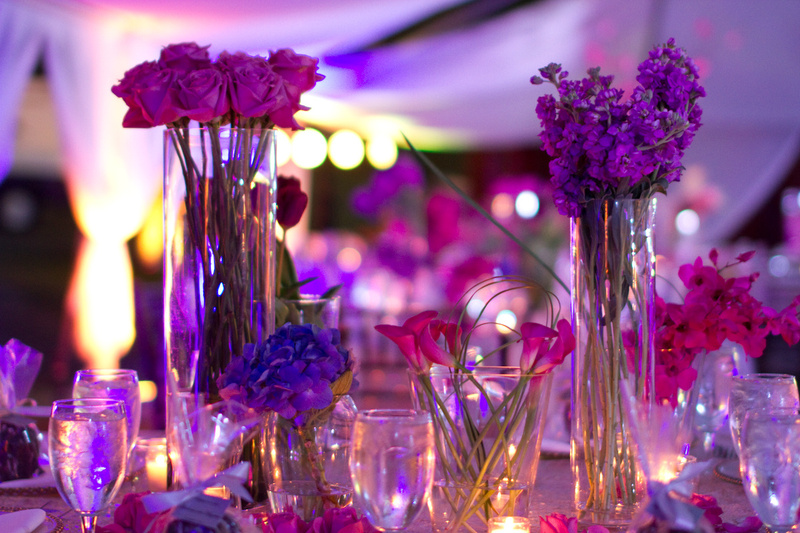 Our typical clients spend about $150,000 on average per wedding and design. However, our most basic service starts from $3,500 depending on several factors such as; budget, guest count scope of service and more. A: Our contract requires a 50% initial investment at the time of signing the contract and the remaining 50% is due 30 days before your event. However, if you retain us three months from your event, we require (100%) full investment at the time of signing the contract. Q: DO YOU WORK WITH DESTINATION CLIENTS? DO YOU TRAVEL? Q: HOW CAN I GET THE MIMI EBICHI EXPERIENCE? A: We are so thrilled you’ve asked and we would absolutely love to cater to you. Please contact us here and to schedule your complimentary consultation so we can see if we are perfect together. Nice and informative article. Thanks for sharing all the information regarding this. I think it\’s very important to discuss everything with the wedding planner. So that there will be no misunderstanding later. No doubt the information you shared here will help people regarding this. I want to make sure that I get the right wedding planner. It makes sense that I would want to find one that has a lot of experience! That way I can be sure that they would do a good job. Absolutely Braden! I’m glad the post shed some light for you. Thanks for the tips for finding a good wedding planner. My fiance thinks that the venue coordinator can do the work, but I don’t think so. Like you said, they only do logistics, but a planner will do so much more! I’ll show her this. I’m glad this post helped you. Wishing you more love and success in your relationship. Hi, First I need to say thanks for sharing this informative article. It was worth reading your post. You have mentioned some smart instruction and the way of your writing is excellent. It will be a great inspiration for planning a perfect wedding program. Because hiring a wedding planner can surely make your life easier. A wedding planner takes care of everything for you while you ending your wedding.